Wharton, New Jersey Members from Jefferson Twp Co#2, Mine Hill, And Piccatinny Arsenal Fire Departments, assisted the Wharton fire Department during a drill in a senior citizen building. 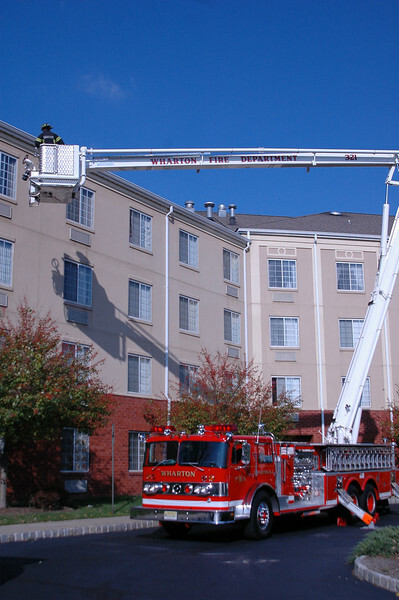 The drill was designed for aerial placement, floor by floor searches including actual door checks of all apartments, and Fast team. All residents of the building were all notified previous of the drill ..